Old bikes have a certain charm, mystique, and character. 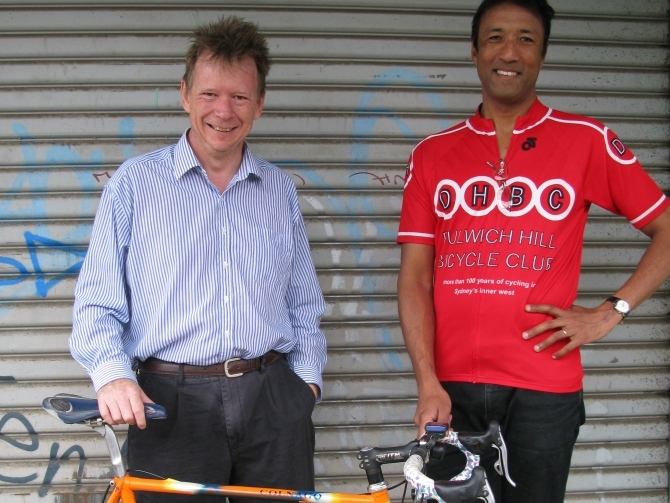 We recently spoke with John Johnson and Marc Rerceretnam from the Dulwich Hill Bicycle Club to find out more about the upcoming Sydney Classic Bike Show. 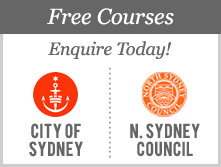 Adrian: Can you tell me when you came up with the idea of hosting the Sydney Classic Bike Show? John: Well, we’d been talking about it for a long time and it seemed to be happening everywhere else. They’d been classic bike shows in Melbourne and Brisbane, but there was nothing here in Sydney, so we just decided to go ahead and do it. Adrian: What is a classic bike? Marc: A classic bike doesn’t have to be old to be classic. A classic bike is something hand built, something built for a purpose, and built for a rider. A classic bike shows a level of individual craftsmanship that existed in the past but is less common today. Marc: Take for example your [John’s] Bol D'or. It’s a classic handmade racing bike from the 1950s. It was being used as a racer and a commuter bike to get to work. It would have cost a lot of money back in the 1950s so the original owner had it set up with all these light connectors which he’d then take off when he was racing. By looking at how the bike was built, you can tell what sort of person the bike was made for. The bike tells a story. Adrian: How did you become interested in classic bikes? John: We’ll I got back into cycling as a way of keeping fit and active. I decided I didn’t want to spend a fortune buying a new bike because I wasn’t sure how much riding I’d be doing. I bought an 80’s racing bike on Ebay for a couple of hundred dollars. I then wanted to learn some more about the bike. I started to get interested in the whole history of bicycles. I don’t think it’s been terribly well documented in Australia. Marc: I’ve always been a collector of old things. I began seriously commuting on a bike in the 80s mostly out of a concern for social and environmental issues. Around 1990 I was looking for a second-hand bike in the trading post, but there was nothing available in my size. Then one day I saw an old road bike with a 60cm frame and no branding on it. I bought it and it turned out to be a Jim Bundy. I had no idea at the time that it was a classic bike. I suspected it may have been because every time I went to bicycle shops, guys would raise their eyebrows, and one guy told me it was a really nice bike. The frame is built with Nervex Professional lugs. We think the bike was built sometime around 1967 by looking at the parts that are still on it. Adrian: Do you think there is a growing appreciation for classic bikes? John: Definitely. However, this stuff comes in waves. In Australia there is a really strong interest in classic BMX bikes for a number of years. There’s also been an interest in cruiser bikes. Now there’s a great interest in road bikes. There are many men of a certain age who now have the money to buy the bike they had always wanted when they were much younger. The steel 1980s Italian road bike seems to be the lust object of choice. A lot of people are interested in vintage Colnago, Olmo, and Bianchi bikes. There is also an interest in the bikes that were used in the Grand Tours. A lot of this stuff focuses on the European brands. Even in Australia, people who were road racing tended to look to Europe for the kind of bikes they were racing. There is a real mystique around the classic riders such as Eddy Merckx, and the bicycles he rode throughout his professional career. Adrian: What interested have you had so far from people coming to the Sydney Classic Bike Show? Marc: There's been a lot of interest on bicycling forums and social media. We’ve had a lot of interest from people with classic road bikes. There are fifteen categories in which people can enter their bikes in the Concourse event, including touring bikes, tandems, best restored, best original, people's choice, novelty, rat bikes, track, BMX, modified custom, cargo bikes and road bikes. There’ll also be a Bicycle Swap Meet held on the day. Adrian: How can people get involved in the show? 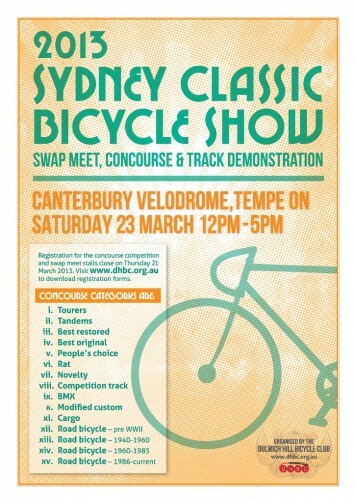 The Sydney Classic Bike Show will be held at Canterbury Velodrome, Tempe on Saturday 23 March from 12noon to 5pm. 5 Comment so far. Add yours below. Despite their dark powers, I think old bikes have more of a mystique than a mystic. Hi. I have my dad's original racing bike that his brother built specially for him in the 1940s (I think it was Healy's - a bike work shop in North Carlton near the San Remo Ballroom). 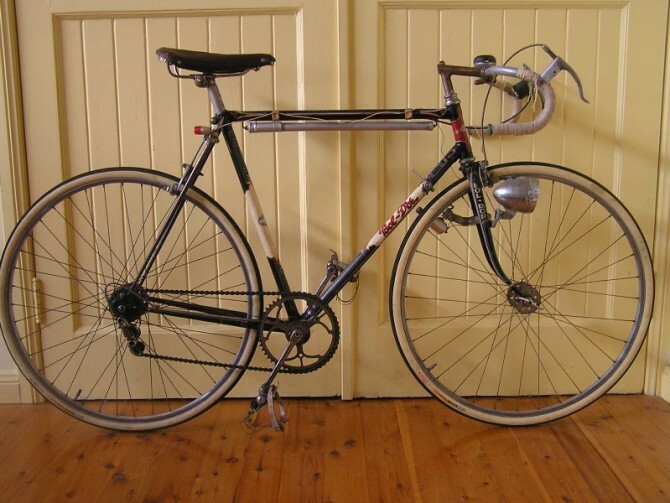 It was my dad's only bike for racing - mainly road - in the Hawthorn cycling club back then. Then my brother started racing at age 13 and used the same bike. Dad got it repainted for him at his old racing mate's shop at Lawrencia in Hawthorn and my brother raced on that until he grew too tall for it. It's a special bike with joinery cut out in fancy patterns. Apparently everyone who saw it said it would never last as it would be too thin. But hey - a lot road races were won on that bike and it's still alive and would be kicking if I got it down from the display hooks in my garage. I'd love to show it at a show like your's.